Pixar’s The Good Dinosaur has a curious concept and execution. The animation studio’s driving “What if?” scenario ponders an Earth where a meteorite misses our planet and does not cause the dinosaurs’ mass extinction event. Dinosaurs are therefore allowed to evolve into thinking, feeling, and talking creatures, an interesting pseudo-scientific justification for the typical trend in animation of talking animals, whereas the film’s human beings have only just evolved into grunting, doglike wildlings. Setting their film against a backdrop of the American West and structuring it like a classic Western tale, Pixar’s sixteenth feature contains beautiful panoramic, photorealistic landscapes; at the same time, the characters are intentionally cartoony. 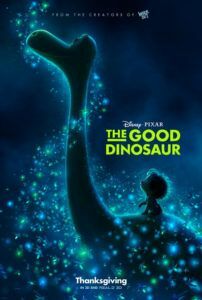 This tale of dinosaur versus Nature offers no end of physical challenges and dangers to overcome, but it also happens to be one of the most unbelievably funny and affecting Pixar films to date. Directing his first feature-length project for Pixar, Peter Sohn and his screenwriter Meg LeFauve were generously inspired from established sources without making any direct references. Not every Pixar title has to be as original as their other 2015 release, Inside Out. Brad Bird borrowed from countless superhero archetypes for The Incredibles, and Akira Kurosawa’s Seven Samurai was the basis for A Bug’s Life. Originality is not always about the story that’s being told; sometimes it’s about how the story is told. The Good Dinosaur‘s familiar boy-and-his-dog structure, explored in animation in Dreamworks’ How to Train Your Dragon series, derives from Jack London’s writing—specifically, The Call of the Wild and White Fang. But Sohn and LeFauve also employ a Western blueprint wherein a young boy must go out into the world and become a man. Or at least an adult dinosaur. In this case, the boy isn’t so much a boy as a young male Apatosaurus. The film opens with two corn-farming dinos, Poppa (voiced by Jeffrey Wright) and Momma (Frances McDormand), welcoming into the world their three children: the brutish Buck (Marcus Scribner) and spry Libby (Maleah Padilla) tower over their runt brother, Arlo (Raymond Ochoa). Because of his size, Arlo goes about afraid of everything and harboring a nasty inferiority complex. Poppa teaches his children to set goals and accomplish them. “Earn your mark,” he tells them. But Arlo can’t seem to muster the requisite guts to do his father proud. He soon has no choice when he chases after a young human wildling (Jack Bright), who’s been stealing the family’s winter corn stockpile, then inadvertently falls into a raging river. Miles downstream, he wakes up bruised and lost, but finds that his new human puppydog makes a fine companion. Soon named Spot, the feral, loin-clothed boy scampers around on all fours and uses his snout to locate food for his new injured master, Arlo, who bears an understandable grudge. There’s a hilarious sequence where Spot tries to figure out what Arlo likes to eat. He gathers a lizard, but Arlo doesn’t bite. He brings an oversized beetle, but Arlo takes one look at the insect’s frightening chompers and gasps (even after Spot tears its head off in a shocker-of-a-moment, Arlo isn’t interested). Finally, Spot discovers Arlo likes berries. There’s a series of equally touching and laugh-out-loud funny moments like this in The Good Dinosaur. Consider the scene when Spot and Arlo eat some rotten fruit and have a psychedelic, mind-altering reaction. This critic can’t remember a time when children and adult viewers alike laughed so hard at a family film. As Arlo and his dinosaur’s-best-friend brave the wild country, the film’s episodic story offers a number of touching and exciting scenes. Arlo and Spot bond over a field of fireflies and their mutual sense of familial loss and isolation. The long road home also features several encounters with other dinosaurs, including a group of savage flying Nyctosauruses, led by Thunderclap (Steve Zahn), dependent on post-storm chaos to scavenge food (“The storm provides”). Arlo and Spot find unlikely allies in a family of veritable Texan rancher Tyrannosaurus Rexes; their paterfamilias Butch (Sam Elliot) heads two southern-fried kids Ramsey (Anna Paquin) and Nash (A.J. Buckley) after their buffalo herd. A Western’s standard white-trash cattle rustlers are replaced by a band of feathered outlaw Velociraptors. Just like Rango, Western cinematic conventions receive new life in animated form. Pixar’s animation team conjures a gorgeous, realistic world of mountains and plains, thunderstorms and campfires, raging rivers and calm streams. One might be reminded of Disney’s Dinosaur from 2000, where live-action environs were populated by animated dino-characters. But Pixar’s entire world here is animated—just so marvelously that it represents a masterful trick. The dinosaurs and “critters” (who are unforgivably eaten) intentionally look more like standard cartoons by contrast, albeit three-dimensional in their rubbery or furry quality. Indeed, the textured characters have an unreal quality, perhaps to lessen the considerable physical blows endured and delivered throughout the story. 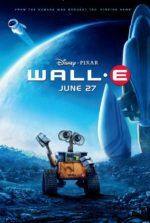 Arlo’s artificial body suffers scrapes and bruises, while cute little animals become lunch in shockingly violent (and quite morbidly humorous) scenes, whose jolting quality is lessened because of the animation style. The Good Dinosaur‘s story doesn’t shy away from the cruelties and realities of Nature, and that’s one of the film’s most admirable qualities, along with its significant emotional pull and breathtaking animation. To be sure, aside from the characters, it’s easy to forget you’re looking at worlds created on a computer, instead of images captured on a camera. In terms of the story itself, certain moments clearly evoke Disney’s The Lion King and The Jungle Book, while Arlo might’ve been inspired by Gertie the Dinosaur from Winsor McCay’s landmark 1914 animated short. 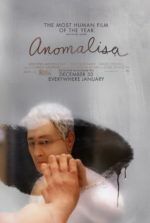 Although some may balk at the film’s palpable embrace of other material, the film’s emotional force and sheer comedic quality don’t suffer for its influences. Once again, Pixar demonstrates that even when covering well-treaded territory, they do it better than anyone else.